Cuba’s attempt to forge an independent state has been a project under development for more than 100 years and a source of fascination for nations, intellectuals, and artists alike. 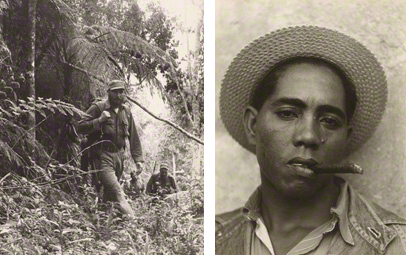 A Revolutionary Project: Cuba from Walker Evans to Now looks at three critical periods in the nation’s history as witnessed by photographers before, during, and after the country’s 1959 Revolution. The exhibition juxtaposes Walker Evans’s 1933 images from the end of the Machado dictatorship with views by contemporary foreign photographers Virginia Beahan, Alex Harris, and Alexey Titarenko, who have explored Cuba since the withdrawal of Soviet support in the 1990s. A third section bridging these two eras presents pictures by Cuban photographers who participated in the 1959 Revolution, including Alberto Korda, Perfecto Romero, and Osvaldo Salas. This show runs through October 2, 2011.